Miami Personal Injury Lawsuit | Injury Claim – Shamis & Gentile, P.A. July 5, 2018by Shamis & Gentile P.A. Boating accidents, slip and falls, dog bites, car accidents – any of these accidents can cause traumatic injury. If you’ve been injured in Miami and believe someone or something else was to blame, Florida’s personal injury laws may protect you and entitle you to compensation for your injuries. In this article South Florida Injury Attorney’s will discuss how long a Miami personal injury lawsuit takes from start to finish. When one person is injured and someone else might be legally at fault for causing that injury, legal disputes often arise. In the legal field, these disputes are referred to as personal injury claims or torts. These types of claims arise whenever one person’s careless or deliberate conduct causes injury to someone else. A Miami personal injury lawsuit typically begins by contacting an attorney to discuss the circumstances of the incident and strategize next steps. A Miami personal injury lawsuit can end a number of different ways, including reaching a settlement with the insurance company or other at-fault party, or taking the case to trial. How long will my Miami, Florida personal injury lawsuit take? When, where, how, and why the accident happened. The circumstances of the victim’s injuries, including where the injuries occurred and how long the victim will be required to receive treatment for their injuries. The insurance company’s evaluation of the case. Whether the parties involved disagree as to how the accident happened and who is at fault. Whether the parties involved disagree as to whether the accident caused the victim’s injuries. How long it takes to gather and evaluate the necessary evidence (for example, medical records) and/or work with expert witnesses. Whether the case settles or goes to trial. If the case goes to trial, whether the court has an overcrowded docket and busy schedule. Generally, a personal injury lawsuit can take anywhere from a few months to several years before reaching a resolution that best protects your interests. To better understand the timeline that applies to your case, it is important to contact a Miami personal injury lawyer. An experienced lawyer will discuss your case with you and then look at the particular facts unique to your situation to determine who may be liable and how to best pursue compensation for your claim. A skilled Miami personal injury lawyer will also research the legal issues and governing case law involved in your situation and the local rules and current docket of the appropriate court to estimate the length of time it will take to pursue a Miami personal injury lawsuit on your behalf. Choosing an experienced Miami injury attorney to advocate on your behalf is key. Investigating a claim on your behalf: We know how to investigate a personal injury claim to find the best evidence of liability and have the resources to bring in investigators and experts as necessary. Navigating the complexities of Florida’s personal injury law: If a lawsuit is not filed within the applicable statute of limitations period following your injury, your legal right to sue may expire in accordance with Florida law. Skilled personal injury attorneys will assist you in thoroughly investigating and research any and all potential claims and next steps. Attempting to negotiate a favorable settlement offer and fighting insurance companies to ensure that adequate compensation is paid for losses: Diligent advocacy is needed to make sure victims fairly recover what they deserve for their injuries, which may include things like medical bills, lost wages, and punitive damages to punish the at-fault wrongdoer. 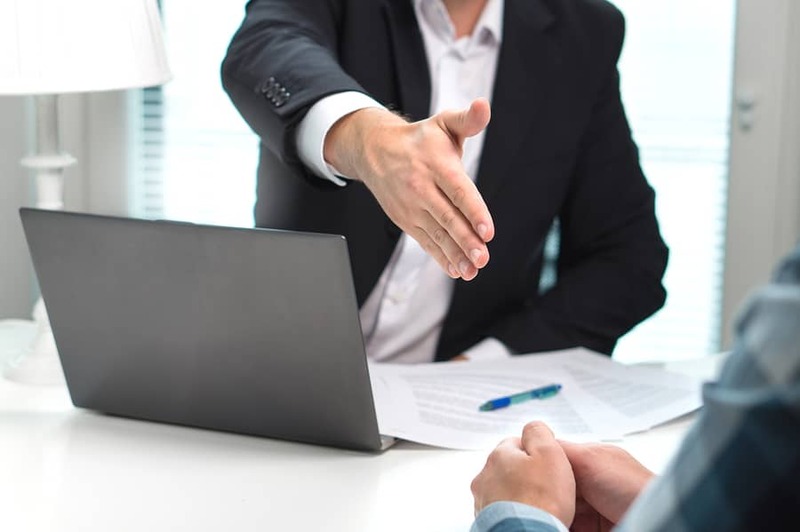 Filing a lawsuit with the court, taking the case to trial, and proving the elements of a Florida personal injury claim: A skilled Florida attorney will be well versed in the case law interpreting and applying the elements necessary to win your case. Taking a case to a Florida civil jury trial often includes preparing pretrial motions, taking and defending depositions, selecting a jury, giving opening statements, examining and cross-examining witnesses, preparing the appropriate jury instructions, delivering closing arguments, and awaiting the verdict. Should I wait to start the Miami personal injury lawsuit process? If you have been recently injured, it is very important to start the process now. You will want to move quickly to preserve evidence. Report the incident to the appropriate authorities, such as the local police for car accidents, or animal control for a dog bite. Gather everything you can remember about where, when, and how the injury happened, including pictures of any injuries to yourself or your property and details on anyone who may have witnessed the incident. You will need to move quickly because every personal injury lawsuit in Florida is subject to a timeline known as a statute of limitations. A statute of limitations is a deadline by which a person must file a personal injury claim. After that deadline passes, the person may lose their right to ever bring that personal injury lawsuit. The clock often begins ticking from the date the person was injured. This means you should contact a Miami injury attorney immediately to discuss any deadlines you may be facing, to discuss what evidence you may need to preserve, and to evaluate how long your personal injury case may take. Contact a Miami Personal Injury Attorney at Shamis & Gentile, P.A. If you have been injured, you may be entitled to compensation. Whether you have suffered a complicated injury outside of work—like an accident with an impaired driver—or a serious workplace injury, the attorneys at Shamis & Gentile, P.A. are here to help. Our experienced and empathetic legal professionals fight for our clients’ interests and know how to deal with the intricacies of a personal injury lawsuit. We can help assess next steps and estimate how long your Miami personal injury lawsuit might take. If you have been injured as a result of the negligent conduct of an individual or business, contact the Miami injury lawyers at Shamis & Gentile, P.A. for a free, no obligation and confidential discussion. All of our Florida personal injury cases are handled on a contingency fee basis, which means we only receive a legal fee when we succeed on your behalf. The Miami personal injury lawsuit lawyers at Shamis & Gentile, P.A. know the pain and inconvenience associated with a Boating accident, slip and fall, dog bite, and a car accident. Our Miami personal injury lawyers are ready and willing to represent you in your case today. To schedule a free consultation and case evaluation with Miami personal injury lawsuit lawyers at South Florida Injury Attorneys, please call us 305-479-2299 or contact us online today.